The department’s deputy is leading a delegation. 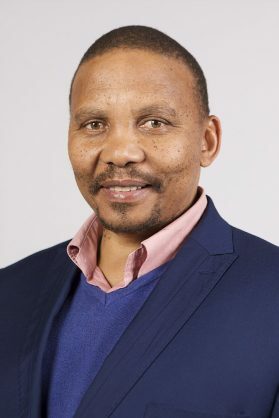 Labour Deputy Minister Inkosi Phathekile Holomisa is headed to the Somerset West Denel plant where eight people died in an explosion on Monday. The deputy minister was accompanied by Inspector General Agness Moiloa, Chief Inspector Tibor Szana, Provincial Chief Inspector for Western Cape David Esau and chief communication officer Teboho Thejane. Holomisa expressed condolences to the bereaved families. The factory Rheinmetall Denel Munition RF produces explosives and propellants for civilian and military use in ammunition. It exploded on Monday afternoon. Deputy President David Mabuza also issued his condolences to the families of the eight people who died in the explosion. “We have learned with sadness of the unfortunate explosion this afternoon that has reportedly claimed eight lives while injuring several others. We wish to express, on behalf of the country and Government, our deepest condolences to all the families of the deceased people. May their souls rest in peace,” said Mabuza. Mabuza also wished all those injured a speedy recovery and urged the authorities to get to the bottom of the cause of the explosion so that necessary action can be taken. Earlier, the Rheinmetall Denel Munition said the explosion would be investigated and the area was cordoned off due to it being unsafe. The explosion happened at its propellant operations building. “During operations, an explosion occurred and destroyed the entire building and the immediate surrounding blast walls. There have been fatalities and the affected area has been cordoned off due to it still being unsafe. Therefore we are unable to confirm any further details pertaining to the fatalities at this point in time,” the statement read. Earlier, the City of Cape Town’s disaster risk management said all communication on the incident would be handled by the company as the site was a national key point. City of Cape Town fire chief Theo Layne confirmed eight people were declared dead in the explosion despite initial reports were that four people had died and six others were missing.